The CADRE CubeSat, released from the International Space Station in May 2016 re-entered the atmosphere on January 3, 2017 after over seven and a half months in orbit. 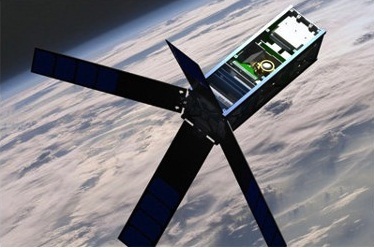 CADRE stands for ‘CubeSat investigating Atmospheric Density Response to Extreme driving‘ and is a 3U CubeSat mission sponsored by the National Science Foundation and operated by the University of Michigan’s Exploration Laboratory. 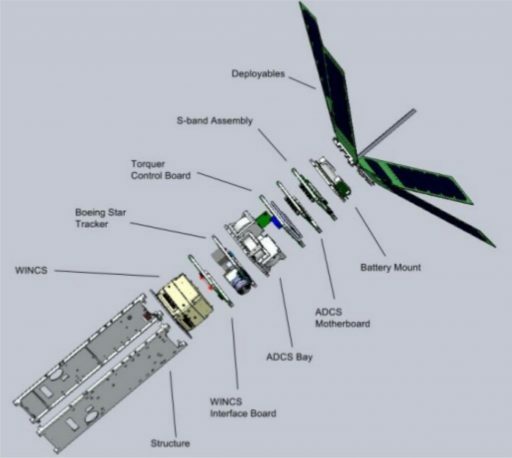 The primary mission objective of CADRE is to serve as a pathfinder for the future Amanda multi-satellite mission, demonstrating a 3U CubeSat bus and testing the Wind Ion Neutral Composition Suite (WINCS) instrument in an operational environment. CADRE aims to study thermosphere dynamics using a suite of four electrostatic analyzers and two mass spectrometers to measure in-situ density, temperature and composition of the thermosphere as well as neutral winds and ion flows.